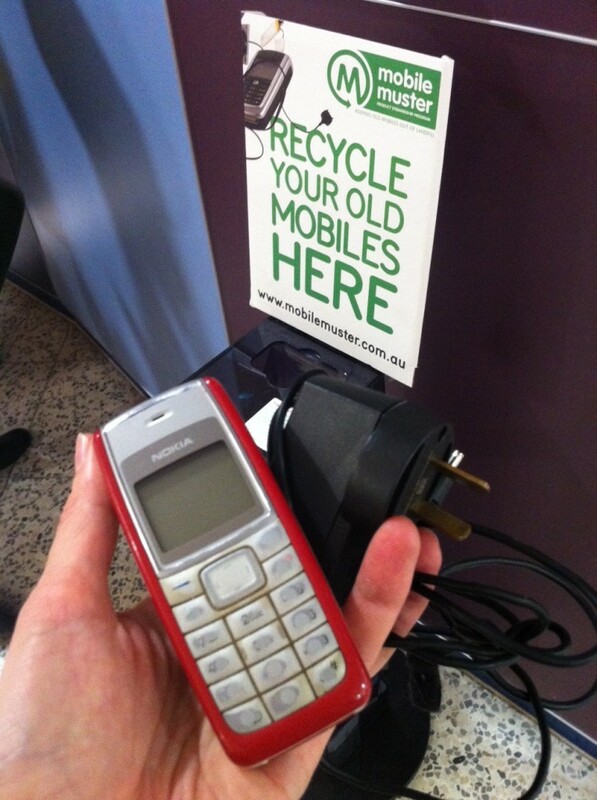 Finally got around to recycling my old 'no numbers' Nokia with MobileMuster at the Transition Film Festival. The Transition Film Festival guys have cultivated another tantalising crop of visual delights for this coming week. And I continue to enjoy their programming experiments such as crowd-funded film screenings and the mobile phone recycling discount. Musicwood is my top pick of today’s Festival offerings. Given that it’s 6.30pm and I’m mid-post writing it’s unlikely I’m actually going to make it to the Bella Union film tonight. But you might! Project Wild Thing just totally tickles my fancy – one of the best trailers of the Transition Film Festival lineup. Thoroughly enjoyed bashing a few shipping pallets into a functional planter box with the Urban Bush Carpenters crew last year. So I’m keen to see what real artisans have done with this abundant, modern material at the Create from a Crate exhibition in Ivanhoe. Northcity4′s Renew, Restore, Respect urban revitalisation seminar looks visit-worthy, as does ‘the establishment’ version Open Space at the Melbourne Convention & Exhibition Centre. Regretfully, City of Melbourne’s first Look.Stop.Swap program totally passed me by at last year’s Festival. The irony of working on the Sustainable Living Festival production team is you don’t actually see much of this large multi-platform event. But thought-provoking sustainability collaborations between CBD retailers and local change makers really shouldn’t be missed. Head to the Look.Stop.Shop Facebook page event listings for the full program of events and timings. Or better yet, check out this little online map I made of the LSS retailers and pace out your own day tour of all the sites! Just to soothe my dark-corner-rocking inner geek I colour coded the map as follows: green = installations, blue = workshops/interactives, red = food/drink. Click on the pins for more details. Most activities are on till the 23 Feb.
P.S. My top pick of the LSS program for this week is the Indigenous Garden Talk at Melbournalia, 6pm Thursday. With almost two weeks of Festival action I’ve got to admit am fearing by Saturday…I’ll be a bit knackered! So I was more than a little relieved when I saw the Geelong North Better Block has been postponed to March 15. Highly sensible idea. So instead, I’m kicking back for Bringing It Home: a crowd-funded screening of a documentary on the history and future of hemp. Finishing with a creative flourish, I’ll be heading to Sustainable Table’s Treasure from Trash workshop to make crafty good things out of plastic waste. What a superb weekend!! Inspiring! Chris Jordon resonated deeply with me. He engaged a deep knowing of humanity which is just starting to be realised. A Franzmann retrospective maybe . . . ? Project Wild Thing a must tonight! Time to get in touch with that inner child. Thank you for your passion and promotion. 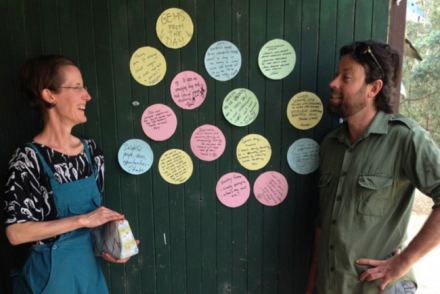 From behind the organisational scene, your musings engage what this festival is all about.